.htaccess is the directory level configuration file that allows us to adjust some server configurations. Using .htaccess file effectively can increase website performance. In this article, we’ll see some simple rules for .htaccess file, that will make your website load faster! Entity tags (ETags) are a mechanism that web servers and browsers use to determine whether the component in the browser’s cache matches the one on the origin server. According to Yahoo! Performance Rules, disable ETags can make the page loads faster, decrease server load and reduce bandwidth if your website is hosted on multiple servers. The expires headers tells the browser to store website’s components (images, scripts, flash, etc.) in browser’s cache until they expire (defined by a value of the expires header). Making far future expires headers that will make your page load faster because browser doesn’t have to request for that component, it simply takes them from the cache. Thus, this will decrease server load, too. Header set Expires "Tue, 16 Jun 2020 20:00:00 GMT"
The disadvantage of this method is that you have to specify the exact time of expires. There’s a second way that can be more flexible by using a relative timestamp, based on current time of server or current time of access. ExpiresDefault "now plus 1 year"
Very easy to implement, right? This will add expires headers 10 years for all file types, except HTML file type (1 day). That’s good for almost blogs because HTML file type often is the web page itself, so you have dynamic content, make short expires headers keep your content always fresh. Note that this rule requires mod_expires installed. This is a popular module, usually installed on most web hosts. This rule requires mod_deflate installed. This module is not always installed on all hosts. I’m using BlueHost and see it’s installed. Please check your host configuration (or ask your hosting company) to make sure it works (you can still leave them in the .htaccess file, they won’t effect to other rules at all). How to check whether or not rules were activated? To check whether or not rules were activated on your host, you can use Firebug addon for Firefox. Make sure to activate the Net tab (the last tab) of Firebug. After that, make some sample requests to your files and check the response headers. Here’s an example request that I made, you can see the expired date and compression method. Thank Jorge Pedret for the great question. Hope it holds up and thank you very much for these hints! Good job bro. Best tut on the web! I would like to know what is the difference between “access plus” and “now plus” ? Good question. According to this docs, “now” and “access” are the same. I wanted to know if Etags could be of any help for my site , as my site is on only one server. According to Yahoo: “ETags won’t match when a browser gets the original component from one server and later tries to validate that component on a different server, a situation that is all too common on Web sites that use a cluster of servers to handle requests.”. So if you’re using only 1 server, you can still use ETags. In that case your server will send only small response to the browser (304 Not Modified) if the requested resource is not changed. I must appreciate , this blog is one of the most systematic and well organised blog. Could you help me how to minify JS,CSS and HTML files? If you use .htaccess only, you cannot minify CSS, JS and HTML. But if you have control of your server, you can install mod_pagespeed for Apache. 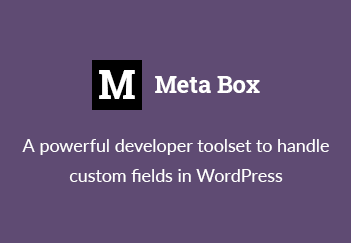 That module will optimize (a lot) your web pages, including minify job. I’ve added the relevant Expires and Mod_Deflate code to my htaccess. My concern is Expires: Wed, 11 Jan 1984 05:00:00 GMT which is data 20 years back. Should it read 20 years in the future as per you example? How do I set this? The response headers for other static resources like images, css and js seem to return a normal output. Thanks for useful information. If your site runs on WP then WP Total Cache plugin will help out for this. If I’ve been using W3 Total Cache, whether they should use this code? They should. Actually, they already have this in “Browser Caching” tab. Great article! These rules still apply today (2015)? Yes, they still work perfectly. Thanks for Sharing Nice information . Best tut on the web! Amazing! Thanks for your article. Your tips definitely improve my website performance. Having recently been struggling through Google’s Search Console and PageSpeed Insights to find out why some of my older sites were ‘downgraded’, I ended up at https://developers.google.com/speed/docs/insights/LeverageBrowserCaching which got me nervous when it said “When the server returns a response it must provide the Cache-Control and ETag headers” as I have no real access to my webhost’s server and have never dealt with server-side issues. Your post seems to imply I can resolve this just with .htaccess, which is great news – thanks! Thank you for your sharing, very useful and helpful to me ..